Girls Gone Global™ is our motto and that’s what we’ve set out to do. We want to help you take your small business MicroGlobal™! You won't find much fluff here. No pictures of daisies, bumper sticker mantras or rah-rah cheers. Our name, and our logo, distinctly represent our brand: We embrace confidence, savvy, and hustle. We eschew triteness, lack of follow-through, and excuses. This is not an "I-am-woman-hear-me-roar" discourse. This is a community that respects facts and opportunities. Globally, more women are moving into positions of power, but the number is still small. Too small. And we’re not here to change that directly. We’re here to empower you. Ms. Single Mom, Ms. I Know There's Something Bigger Out There, Ms. My Life Just Turn Upside Down and I'm Going To Run With It... we're here to empower YOU. We know what it’s like to work insane hours, to build something from absolutely nothing; to face and overcome the challenges of personal and professional growth. We know what it’s like to do this when your friends and family – the people on whom you should rely for comfort and encouragement – tell you to give up and get a job. A real job. We don’t believe only women should have access to the tools, information and resources you’ll find here. But we do believe that more women, with access to the right information, can do much more than expected. It’s not about gender equality. It’s about owning your life – doing what you need to do for you and your family. It’s about respecting yourself. It’s about setting big, lofty goals, then formulating a plan to achieve them. It’s about sticking to the plan. It’s about hustle. And we respect the hustle. Too often, global business is made out to be strictly relegated to overseas cargo shipments and complex government regulations, or otherwise meant for multinational corporations, but not for micro-enterprise. And yet, more small businesses are entering global markets than ever before. And women entrepreneurs are leading the way. If you’ve ever wondered how your small business can take advantage of global connections and opportunities, then Girls Gone Global™ is the community for you. The world is an exciting place filled with new ways to reach out, develop business relationships and utilize knowledge and information from other countries. Geographic location does not mean business limitations. Leah Goold-Haws and Angela Cordell. Leah Goold-Haws is the founder of Girls Gone Global™ - a training and consulting program for women entrepreneurs looking to take their small business Microglobal™. Leah is also a consultant for the state of California Centers for International Trade Development and works with the California Community College system in supporting and enhancing global trade coursework. Ms. Goold-Haws has written curriculum, taught courses, produced conferences and led training seminars on the topic of international business and is passionate about growing the global business opportunities of women entrepreneurs around the world. With a TEDx presentation on global connectivity, and projects she’s created such as the board game, Know Opportunity, being featured in Forbes and Inc. Magazine, Leah is herself an active and innovative global entrepreneur. 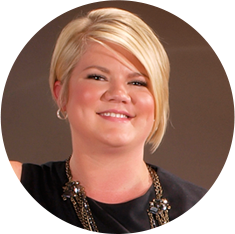 With 10 years of domestic and international communications experience, Angela is a PR guru. She began her career in California’s Capitol and has since worked her way up the state, assisting non-profits, economic development groups and small to midsize businesses analyze industry trends, develop new programs, products and services, and network with overseas partners. Angela currently promotes a variety of education tools, international business development projects and global entrepreneurship efforts that foster economic sustainability and growth.